You donate blood with LifeStream for the right reason – to assist our loved ones, neighbors and friends in need. Those you help may not be able to thank you personally for your generosity, but we can! LifeStream’s Gift of Life Donor Loyalty Program is our way of saying WE APPRECIATE YOU for putting your heart into helping others though voluntary blood donation. Donation points: Points are earned for each donation and may be redeem for great prizes! 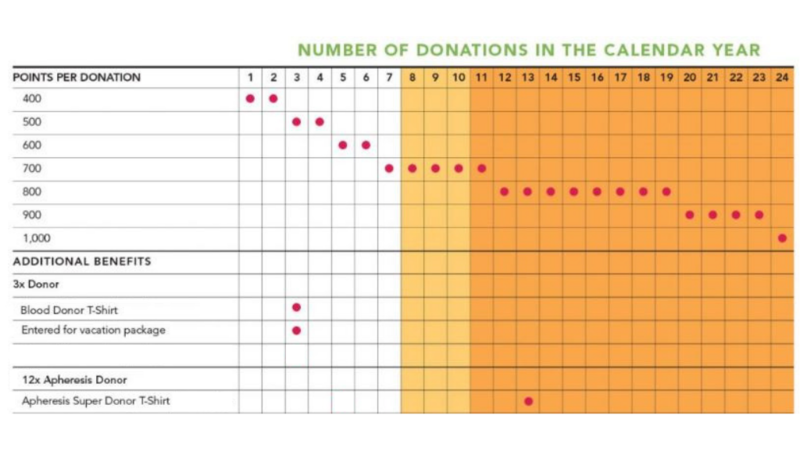 Points vary based on number of donations in a calendar year, type of donation, etc. Wellness Check: includes cholesterol screening, blood pressure, iron levels and temperature. Starbucks coffee. Take your pick in the canteen after each donation. Young donor programs, including scholarships!